The reissue sounds great- crisp and clean, unlike a lot of modern day murk that infests the doom genre and there can be no doubt that “Shades of God” was an important record for the band- perhaps occupying a space kind of like “...Justice” did for Metallica, but unlike that band, Paradise Lost were able to reach higher and achieve more musically on subsequent releases. Having said that, the record is a must-listen for any fan of Paradise Lost and essential listening for anyone with an interest in the doom genre. Paradise Lost, as noted in my previous writing about the band, are an unusual outfit in that their career trajectory did not go as predicted in terms of approach, style and perhaps commercial success. 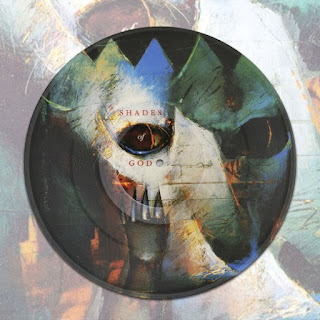 “Shades of God” finds the band maintaining their early doom/death sound, their mid 90's Metallica-by-way-of-Type-O-Negative commercial peak was still a way off. After the genre classics of “Lost Paradise” and “Gothic”, “Shades of God” is something of a left turn- rather than a step forwards (or backwards, depending on your viewpoint!) like “Icon”. Song lengths here come in at over seven minutes on several occasions, while the textures are more subtle this time around. The reissue sounds great- crisp and clean, unlike a lot of modern day murk that infests the doom genre. To be sure, PL's was and is a unique take on doom- they sound nothing like Pentagram/Saint Vitus. 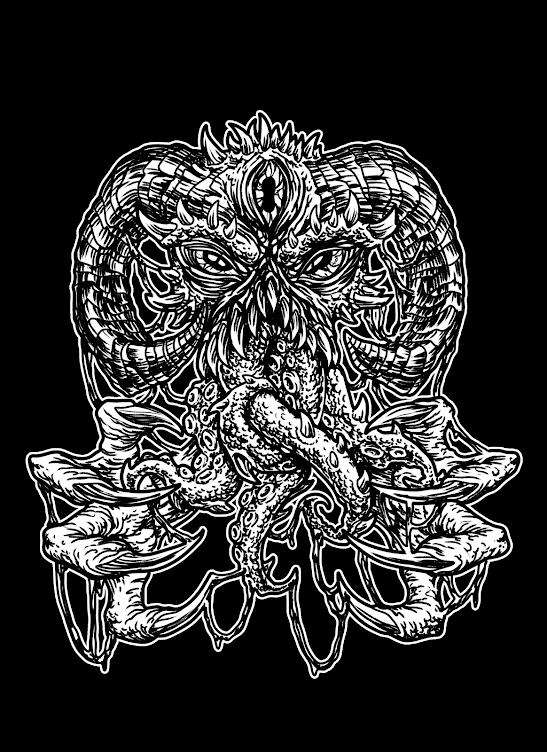 Instead, they come across kind of like Bolt Thrower mixed with Sabbath. 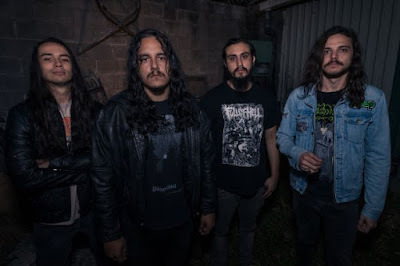 There are echoes of Metallica (early) and classy thrash in “Mortals Watch the Day”, while out and out rock style gate crashes “Embraced”. Each band member does a fine job, with the guitar work being a particular highlight. The sound allows every instrument to be heard, too. There are progressive tendencies here and I would assert that although I have heard this record many times, there is always something new to pick up on. So far, so good, then... However, this is not the best Paradise Lost album. Not even close, in my view. Don't misunderstand me- it is still a fine, fine record but it lacks one thing: song writing. It just doesn't, for me, have the bite of the first two albums or of what followed (not all of what followed, mind!). The songs are labyrinthine in places and there is always a lot going on. Truly, aside from the opener and a couple of other songs, there are not a lot of memorable tracks here. That said, what there IS more than makes up for what there is NOT. The performances are fantastic, solid production and mixing, experimental structures and instrumentation and the album is clearly the sound of a band starting to spread their wings. “Daylight Torn”, for instance, has a lovely acoustic section. After that, the band utilise a trick that surfaces on subsequent albums by juxtaposing the fast and chugging start of “Pity The Sadness” (slamming track!). The nine tracks that the album contains are all of a uniformly high quality and the style and delivery is consistent and creates a mood of darkness and bitterness very well, with “No Forgiveness” being a fine example of this. The more direct approach favoured by “As I Die” was a portent of things to come, but none listening at the time could have predicted what PL would go on to be. The downbeat vibe is successfully carried through the whole album and the longer songs do invoke the feel of a funeral march at times- doom indeed! There can be no doubt that “Shades of God” was an important record for the band- perhaps occupying a space kind of like “...Justice” did for Metallica, but unlike that band, Paradise Lost were able to reach higher and achieve more musically on subsequent releases. The record is a must-listen for any fan of Paradise Lost and essential listening for anyone with an interest in the doom genre.